A healthy diet can help lower the risk of breast cancer. Try to eat a lot of fruits and non-starchy cruciferous vegetables. Replace all your skincare products with natural and organic ones. Discard the underwire bras that can impede proper lymphatic drainage around the breasts. Strive for a vitamin D level between 50-75. Get regular screenings done to prevent it at an early stage. October is National Breast Cancer Awareness month. During the month of October many people will walk for a cure. You can recognize the women who have had or are battling breast cancer. They will be the ones on the walk wearing pink t-shirts. They will walk along side family, friends, doctors and nurses who have been supporting them along the way. Breast cancer awareness walk happens each year to bring attention to the disease that most women fear. Millions of dollars have been raised and spent on breast cancer research, but what about prevention? What is the reason for increase in breast cancer every year? I can certainly speculate on some of the theories and suspicions. Such as our exposure to environmental toxins that are known hormone disruptors. The food chain full of processed foods, chemicals, additive, pesticide residue and genetic modification. The chronic stress in many women’s lives. Plenty of chemicals in skincare products and cosmetics are also speculated to be the reason. It could be any of these things, if not all are contributing to the rise not only in breast cancer, but other forms of cancer and chronic disease as well. So what can you do today to protect yourself and lessen your risk of developing breast cancer? 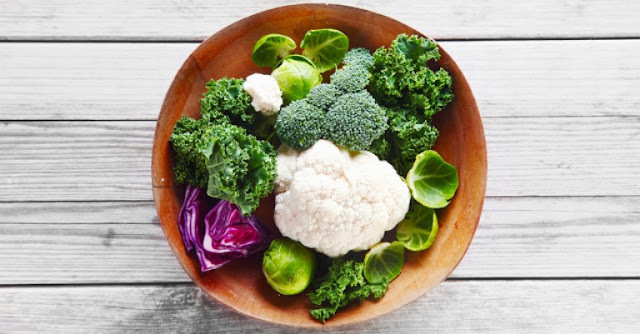 Consume a diet rich in organic non-starchy cruciferous vegetables such as broccoli, cauliflower, cabbage, brussels sprouts, radishes, and arugula. Replace all your skincare products with natural and organic products. Make your own soaps, use extra-virgin coconut oil as a natural moisturizer. Look for companies that have banned toxic chemicals from their products for safer, natural ingredients. You can also look on the Environmental Working Group’s website to find a list of safe options. These can impede proper lymphatic drainage around the breasts. Make sure your vitamin D level is optimal. This can help your immune system to fight against things. Research has also shown that more women survive breast cancer when their vitamin D level is optimal. Strive for a vitamin D level between 50-75. Less than this and you will want to consider supplementing with vitamin D3. Although these are just four simple points that you can follow, they are very effective. There are certainly more that you can do such as exercise, stress management, getting adequate sleep and getting regular breast cancer screenings. I think we all know someone who has been affected by breast cancer. It is important to remember to do what you can to reduce your risks.